The new Volkswagen Jetta offers a range of premium features at a sensible price, and Alexandria Volkswagen is your local VW Jetta dealer serving Arlington and beyond. Standard features include a 6.5″ infotainment system and comfortable, well-appointed seating. Explore our inventory online then check out the Volkswagen Jetta interior! 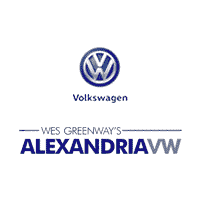 Why Shop at Alexandria Volkswagen Near Washington DC? The Volkswagen Jetta is a standout for families and commuters alike, and it’s now available at Alexandria Volkswagen near Springfield. Car and Driver says, “Throttle response is excellent, with almost no lag, as the turbo four is tuned for low-end grunt,” making it well suited for getting up to speed on the highway. It also delivers more features than the Honda Civic! But why should you buy with us? To start, we offer a courtesy shuttle when you bring your Jetta in for regularly scheduled maintenance, and our lease and financing specials ensure a fair price. Contact us for more information on this well-equipped VW sedan, such as the origin of its name!